Too geeky? I wouldn’t call it that. It hardly even compares to some stuff guys geek out on. Me? I have never been accused of excessive geekulosity by anyone but non-guitarists. Still, I find this stuff interesting. 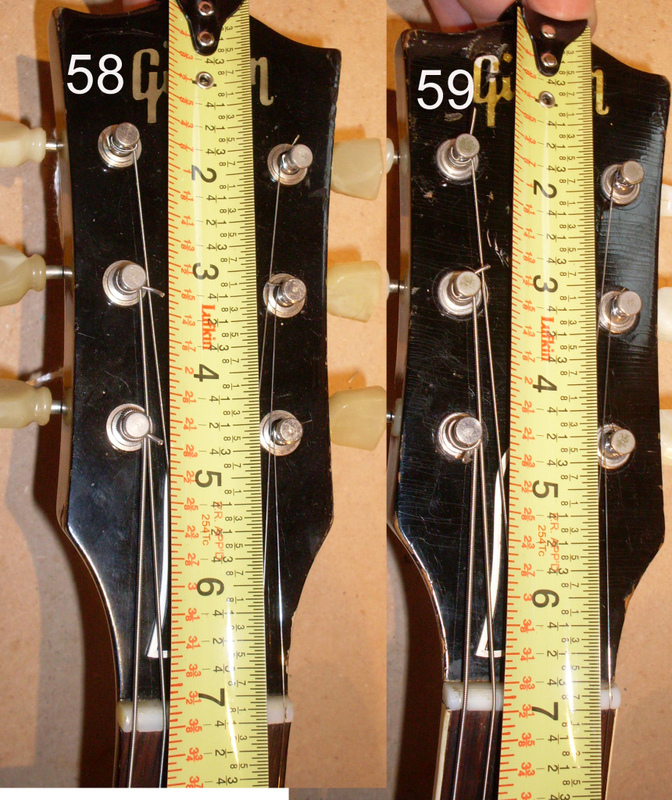 My dream is to one day own a ’58-’62 ES model, so naturally I love learning all about them. Jennifer Aniston too, but that’s another matter. And I’ll happily send FON/serial # data to contribute to your database, Charlie. Holy Watermelon, Charlie! How does that stop-tail 355 sound? My Bigsby ’60 sounds at least as good as great PAF 345/335s. I also love ebony boards. Hmm. And Happy New Year! Kerry, my ’63 355 mono, factory stop tail sounds and plays great too. I’ve owned a bunch of classic era ES models over the decades including several 1959 models; blonde 335, first rack 345, 355 mono with full whites…this ’63 gives them a run for their money! The ebony board provides a little more bite IMHO. Happy New Year fellow ES geeks! The 59 355 stop is a great guitar-the equal of just about any 335. If it was a mono, I would own it forever. There are only six stop tail 355’s that I know of and only two are 59’s. There are probably more but they haven’t surfaced yet.